Some people may feel unfamiliar about the electronic dice. It's an amazing product for enjoy the games of dices. 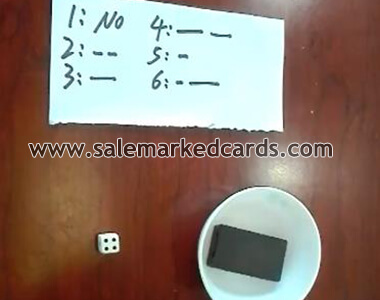 The so called electronic dice refers to the processed dice that with some mini electron installed inside. It needs another device to work with it together so as to let you know the point of the dice. The whole set includes one receiver and one dice. The receiver can be hold in the hand or in the pocket. When the dice throws, you can predict the points with the different frequency of vibration. For example, when it’s point two, you can feel a long vibration. With such a device that you can get every point before others, aren't you the unique winner in the dice game?